IT WAS a beautiful day over the North Atlantic Ocean when American Airlines pilot Beverley Bass received an unimaginable message as she flew from Paris to Dallas. 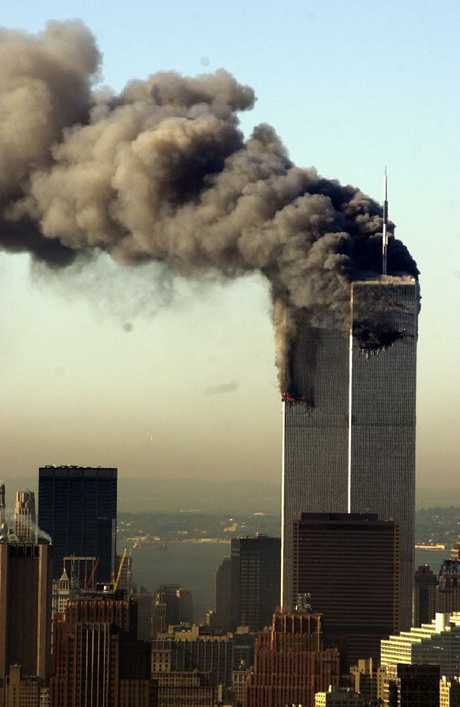 A plane had hit the World Trade Centre, and there was talk of terrorism. Ms Bass - the airline's first female captain - was told to make an emergency landing in the Gander, an isolated town on the island of Newfoundland, Canada, off the country's far northeast coast. Hers was the 36th passenger plane to arrive, and her bewildered passengers were told they would not be able to disembark until the following morning. "We were on the airplane 28 hours in total," she said, after her story was turned into a Broadway show. "It wasn't anything we had ever trained for. We got through it minute by minute, hour by hour, day by day." They didn't know it yet, but US airspace had closed and 38 planes heading to the United States had been redirected to the former World War II military post, the only reasonably sized airport nearby. 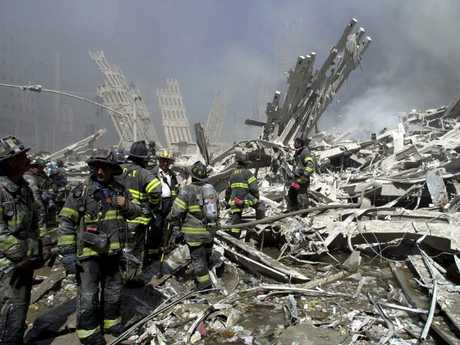 Smoke billows from the burning twin towers of New York’s World Trade Centre on September 11, 2001. 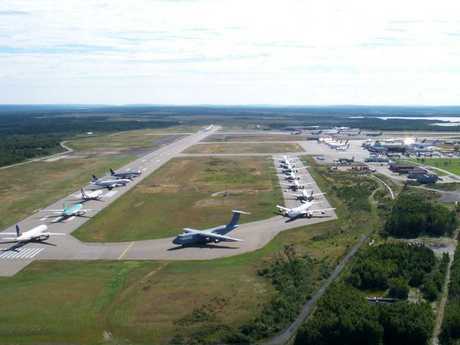 The 6759 passengers and crew members were to be stuck in Gander for four days, almost doubling the small town's population and putting immense pressure on their resources. Nine cats, 11 dogs, and a pair of endangered bonobos who were travelling on the planes were also stranded, and cared for in an empty airport hangar, where they could move around. They didn't know it yet, but the lost planes had found themselves in a bubble, protected from the horror of what was happening thousands of kilometres away in America. Locals brought nicotine patches, nappies and 2000 prescriptions to the planes and worked frantically to prepare to welcome the flood of scared, tired and confused passengers, many of whom passed the time by drinking in their seats. Eventually, the unexpected visitors, from all over the world, were allowed to disembark, taking only their carry-on luggage with them. Striking bus drivers volunteered to transport people to makeshift shelters at schools, restaurants donated food, families stayed up for days cooking and pharmacies supplied tampons. Residents opened up their homes to people to use their showers and provided barbecues for huge cookouts. They threw a giant birthday party for several terminally ill children who had been flying from London to Disney World, with performances and a huge cake. It was only after they arrived at their accommodation that they were able to watch the devastating footage that had stopped the world in its tracks, almost 30 hours after the nightmare that shook the world. For Long Island couple Hannah and Dennis O'Rourke, the nightmare was as personal as it gets. Their son Kevin was a New York City firefighter. Their frantic phone calls to him went unanswered until his voicemail was full. Two weeks after they returned home, their hero son's body was found in the stairwell rubble of Tower One. Two of the passengers stranded in the isolated town lost their son, a New York firefighter, in the attacks which claimed 2996 lives. Beulah Cooper, dubbed the town's Florence Nightingale, tried to keep the couple's spirits up during their stay. They still speak now. "Hannah never hangs up the phone without saying 'I love you,'" she told the New York Post. "I do the same with her." The story of Gander and what was dubbed Operation Yellow Ribbon is one that illustrates the best of humanity during one of the worst tragedies in US history. It might seem an unlikely subject for a feel-good musical, but the creators of the Tony award-winning Come From Away wanted to illustrate the kindness and generosity that offers a ray of hope from one of the world's darkest hours. 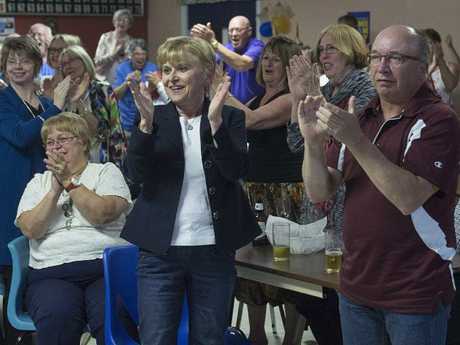 "Come from away" is a phrase Newfoundlanders use to describe people from elsewhere in the world, and is also a metaphor for open arms. The story had already been turned into a book, The Day The World Came To Town, a Canadian TV movie Diverted and a BBC radio play called The Day The Planes Came. On the tenth anniversary of the tragedy in 2011, the brains behind the musical, Irene Sankoff and David Hein, joined many of the passengers and crew who returned to Gander to mark the occasion. They conducted extensive interviews and created a show filled with characters based directly on real people, or composites of several. The experience changed many of their lives forever. Kevin Tuerff was one the "plane people" stranded in Gander with his then-partner. He broke up with his boyfriend, started a new job advocating for refugees and wrote a book, in which he encourages readers to do good deeds for strangers on the anniversary of the attacks. There were many moments amid the horror of that day that demonstrated love and kindness. 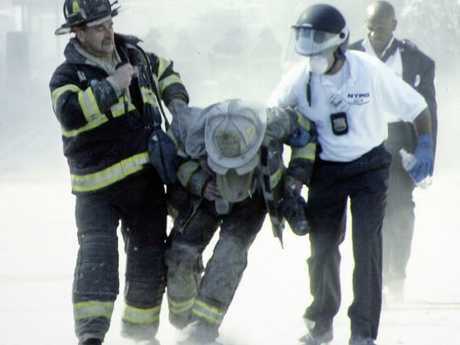 Firefighter Louie Cacchioli, left, helping a fire chief after the towers collapsed. Nick and Diane Marson, from England and Texas respectively, fell in love on the island and were married. The wildly successful musical arrives at Melbourne's Comedy Theatre in July 2019. At a showing in New York this week, just before the 17th anniversary of the terror attack, audience members still traumatised by what happened that day sobbed in their seats. But the show has many moments of laughter and joy, too. 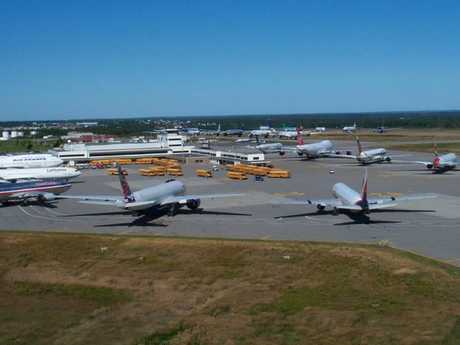 In 2011, on the tenth anniversary of the tragedy, many of the passengers returned to Gander to mark the moment, including Ms Bass and her family. "It was a part of history," she said. "I cried through the whole show because I was blown away by how beautiful it was and how perfectly they had written it. It brought back so many raw emotions, mostly for my husband. When Jenn Colella (the actor who plays her) picks up the phone the first time and says, 'Tom, I'm fine,' it was very hard for him." Residents refused to accept money for their tireless assistance, telling the passengers, "You'd do the same for us." 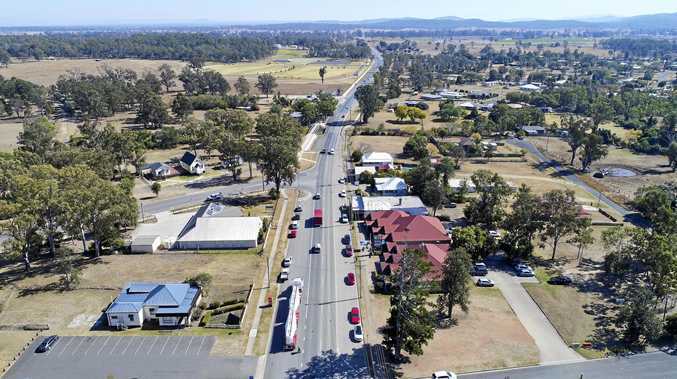 But when they left, the visitors left $60,000 in the town's donations box and set up a scholarship in honour of the locals who looked after them. Many sent gifts to their host families and are still in touch with them today. "When we started this we were very clear that this isn't a story about 9/11, this is a 9/12 story," Hein told the Washingtonian in 2016. "It never seems there'd bad time to tell a story about kindness to strangers and, particularly now, it feels more important."